Introduction – Using of animals and their parts for making fabric is well-known and nowadays artificial fabric making is possible with new invention and chemical innovation. Animals like sheep, cocoon, and camel are used for making fabrics like cotton, wool or silk but at present researchers’ have innovated their process and started using more and more animals for the producing of silks or clothe materials. New living organism have been found for the sculptor making that are spider silk into dazzling variety of shapes. 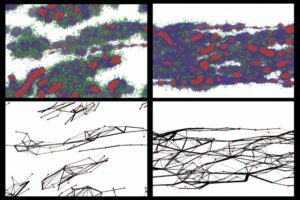 Structure – The researchers have created and developed silk loops with twisted series and curled springs completely different from what spiders make. A twisted cylinder with only one side has been by them named as Mobius strip with the process of attaching silk to other materials including metal and glass along with the hope of giving benefits in the field of medical like creation of new bandages for wounds or burns. The researchers used his garden a home to various spiders and collect silk for his works. Further he persuades those spiders to stick and then they give a quick jerk to that stick. Because of that jerk spider leaps away leaving behind a pristine line of silk, providing what they need. The team utilized a femtosecond laser for building things out of the spider silk. The tool emits powerful pulses of light that are very short that lasts only for few femtoseconds. The width of spider silk is about 1/20th of the average human hair and the tool is used for tailoring the silk into new shapes and precise cuts along with removal of silk sections or attaching it with other materials. They used this laser technique to sculpture a silk with help of light that can do rally amazing things with protein based materials. 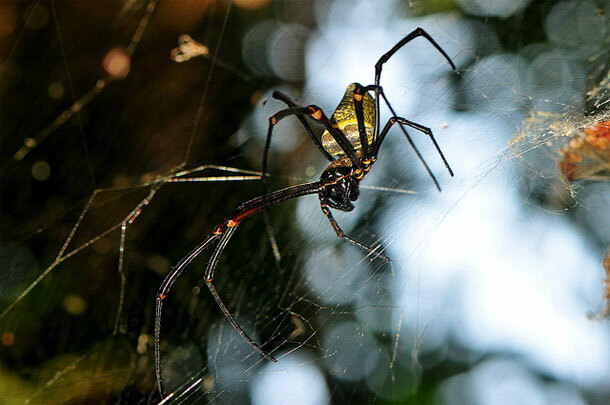 Initiation – The lead researcher has long fascinated with spider silk and from its strength. The silk can be twisted and can absorb a great amount of strain before it fails. 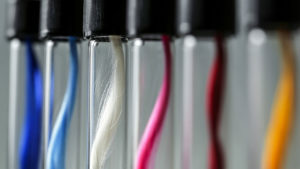 The team of researchers twisted the silk for couple of hours and continued to twist it for 10 days. Everyone was exhausted as turns were decided for twisting but the silk didn’t break. For sculpturing of silk they can’t use conventional tools. Few years later those curling experiments their lab got femtosecond laser. They tested photons and exclaimed lasers as a perfect method for sculpturing silk. They further figured out which type of light would be best and silk is a transparent to visible light as it passes right through it. In variance, spider absorbs ultraviolet light, which has shorter wavelength than visible light. Moreover, they cut the silk with the help of low energy to make structures that showed bulging and then converted into different sculptures. The invention will take time to reach the audience along with more innovations.